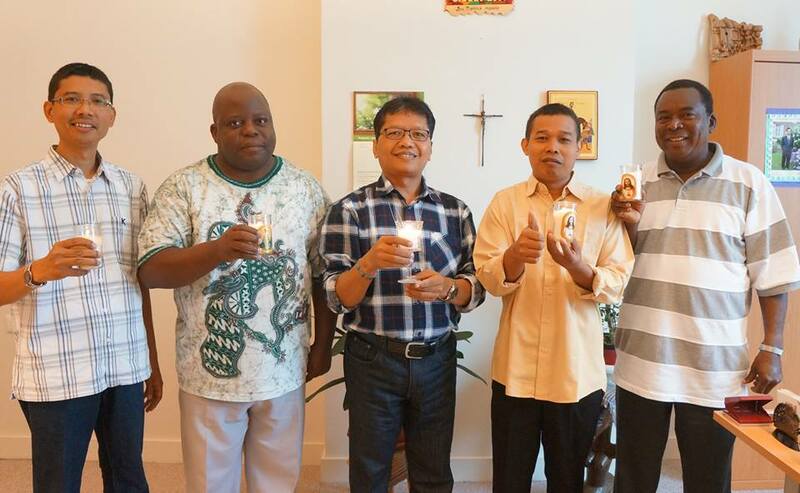 The FIC Brothers are a worldwide religious community within the Catholic church whose mission is the evangelization of the poor through the provision of Christian education, formation and teaching, of the most neglected youth. We commit ourselves to following Jesus Christ by living simple lives in community, praying together and by living the three vows of poverty, celibacy and obedience. 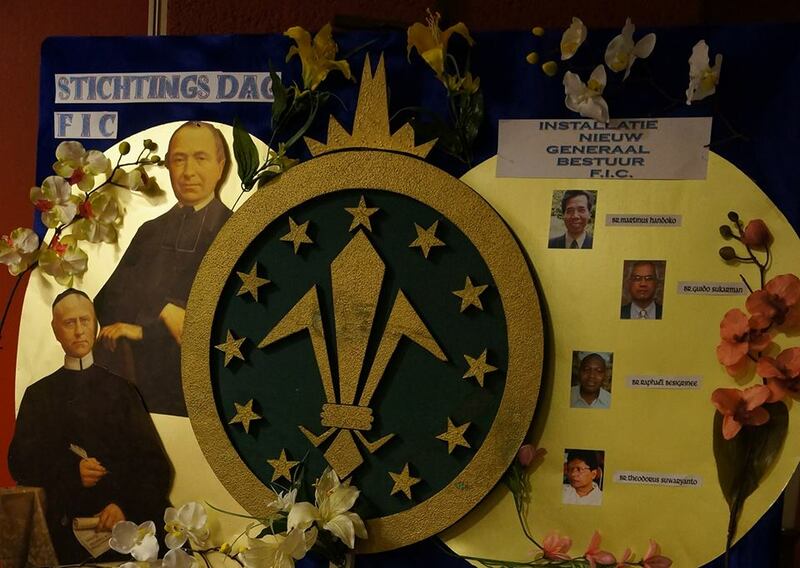 FIC stand for ”Brothers of the Immaculate Conception of the Blessed Virgin Mary". The congregation was founded in 1840 by Fr. Louis Rutten in The Netherlands. How did it happen? Fr.Louis was a priest at a time the social conditions in his native town of Maastricht were extremely bad. This was during the industrial revolution and parents had to work long hours in the factories, with the result that their children were left at home without sufficient care. As most of them did not attend school, the children roamed the streets aimlessly and, most often, hungry. As a young priest in 1837, Fr. Louis felt called to address the physical, moral and religious needs of these children. He devoted himself to the task of providing Christian education for the poor children of Maastricht, whom he called "forgotten" groups, using his own resources as his father was well-to-do. He started morning classes for very young childrenin a porch of St. Servaas church. He later started evening classes for older boys and girls, and also a nursery school. His charitable works included the teaching of religious education, reading, writing and arithmetic. As the number of these needy children grew, he needed helpers. There were no brothers or sisters available to help and the resources needed to pay lay people to do the work were overwhelming, so he decided, after a silent week of reflection and prayer, to start a congregation of men, who would continue the work he started. He got three young men "trained" by a group of brothers called the Brothers of Charity in Belgium. After their initial formation, they were ready to take over the work of teaching and formation of the poor children of Maastricht. On 21 November 1840, the Feast of the Presentation of Our Lady, Fr. LouisRutten and Bro. BernardusHoecken founded the FIC Congregation, with three members: Bro. Bernadus as the first brother, and two postulants. The FIC congregation therefore started as a teaching congregation, and since then, the brothers have been involved in Christian education, formation and teaching. A valuable tradition in the Congregation is the willingness to help build a more caring world outside one’s own native country. Many brothers therefore leave their own people and their own culture to spread the Good News in word and deed in other countries, and to give form to the Kingdom of God. Therefore in 1922, as the congregation was well established, the brothers decided to go on mission, first to Indonesia (1922), Chile (1953), Malawi (1960) and finally Ghana (1965). Presently, we live and work in these countries, which form our provinces. As an international congregation, our presence was also significantly felt in Belgium, U.K., Pakistan, Spain, Ireland, Sierra Leone, and Zambia but we have since closed our missions in these countries. We desire to do this in the spirit of our Founders. We want to belike them. Their love and their concern we embrace as our own. We consider what theyhave left behind as a precious asset, which can only be kept alive by paying respectful attention to our tradition and by keeping an open eye for the signs of our times. We also keep an open eye to sound developments. What are we doing in our provinces?In our five provinces the brothers, in line with the spirit of our founders, have been involved in basic, secondary, and technical education. Through this we lift up countless number of people from poverty, illiteracy, and destitution. Other apostolic involvements include health care, special needs education, agricultural projects, carpentry training, orthopedic services, pastoral work, and moral education. Majority of these institutions target poor individuals and communities, especially the forgotten groups. Recent developments in our congregation has led to the establishment of self-reliance projects in the area of hostel and boarding facilities mainly for students. How is our life organized?All FIC Brothers live together in religious communities whose members vary from at least three to about twenty, and each is engaged in a ministry that suits not only his talents and gifts, but also God's will. A Brother might be a doctor, nurse, teacher, electrician, engineer, cook, lawyer, technician, or parish minister. Each brother lives his faith by being a “brother” to others through committing himself to following Christ in consecrated life of the Church, usually by living the vows of Poverty, Celibacy and Obedience. We are all bound by a rule of life called "Constitutions", which regulates the way individual members and communities organize their lives. Our commitment to these three vows stems fundamentally from our obligation to live simple lifestyles by sharing our property in common, not engaging in exclusive relationships (and this includes not marrying) and by conforming to God's will at all times. A spirit of communion rules our life, and that means certain vital engagements are done in common. These include praying together, having our meals together and recreating together, while giving fraternal support to our fellow brothers ministry. The seat of the General Council, that is the administrative body of the congregation, is in The Netherlands, where the work of FIC brothers began. Our present General Superior is called Bro. 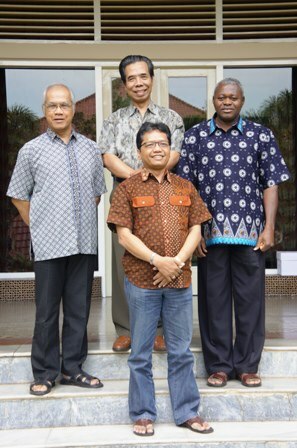 MartinusHandoko and his councilors are brothers Guido Sukarman, Raphael Besigrinee and TheodorusSuwaryanto. Mary is the Patroness of our Congregation. We are happy to place our lives under her special protection. We therefore have a special veneration for her. In our provinces, God continues to call young men to share in the work our founder started. Any unmarried young man between the ages of 18 and 30 who has obtained a professional certificate in teaching, nursing, business administration or a Higher National Diploma in technical education, and who feels called to share this mission of our Lord Jesus Christ, can contact us.